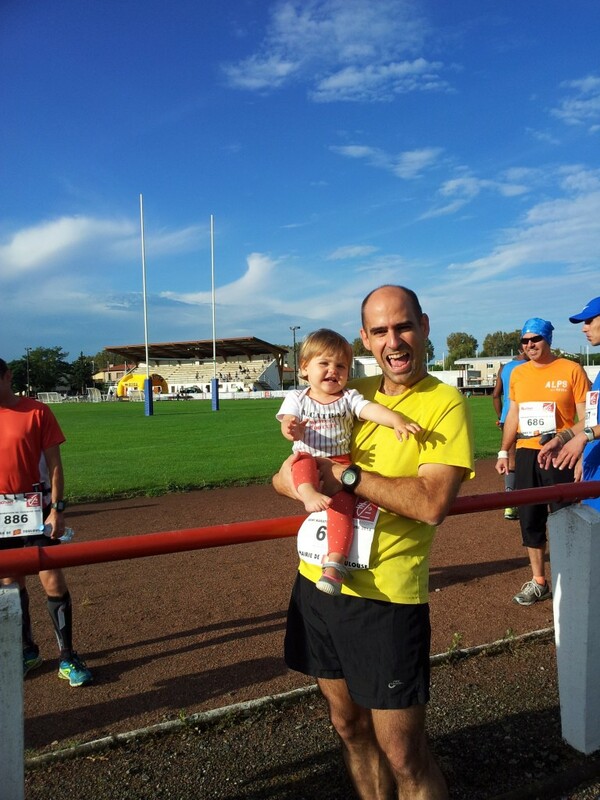 Yesterday, I took part in the half (semi) marathon of Toulouse, which is run in the neighbourhood of Sept Deniers. This was the 3rd time I ran the race. Last year, it was there where I set my PB in the distance. 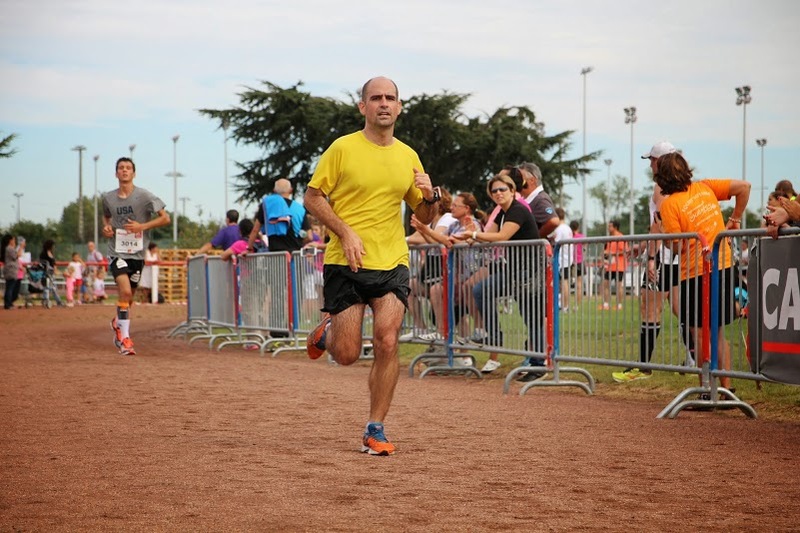 Since a couple of weeks ago I had not been able to set a new PB in 10km in Colomiers, I knew I wasn’t in the fastest shape and thought it would be difficult to beat last year’s time in the 21.1km. I would nevertheless give it a try. With Andrea before the start. I started running at about 4’30” per km, completing the first 10km in about 45’30”. From then on, I was not able to keep that pace. I made some numbers and saw it would be difficult to beat my PB and I went for a plan B, clocking a time below 1h40′. At some point of the race, my running bib started to fall from the safety pins I used to hang it from the t-shirt. That might be the reason why, up to now, my time doesn’t appear in the classification, despite of having carried the chip and bib (even if not visible) through the end. My Garmin watch recorded a net time of 1h39’34”, thus plan B accomplished! With that time, plus some more seconds to account for the official time, I would have placed about 237th out of 1257, or percentile 19%, not that bad for a tough morning run (under 20C and 80% humidity).